On Friday we made a quick afternoon trip up to Bellingham to visit Larrabee State Park and Whatcom Falls Park. We tried real hard to miss the rain showers, but ended up getting caught in a few. It was worth it anyway! We didn’t get started until a little after noon. I should know better by now, with the short winter days, but sometimes we all just need to sleep in. We saw at least 11 red-tailed hawks on our way up the freeway, and many bald eagles and trumpeter swans in the farmlands north of Burlington. 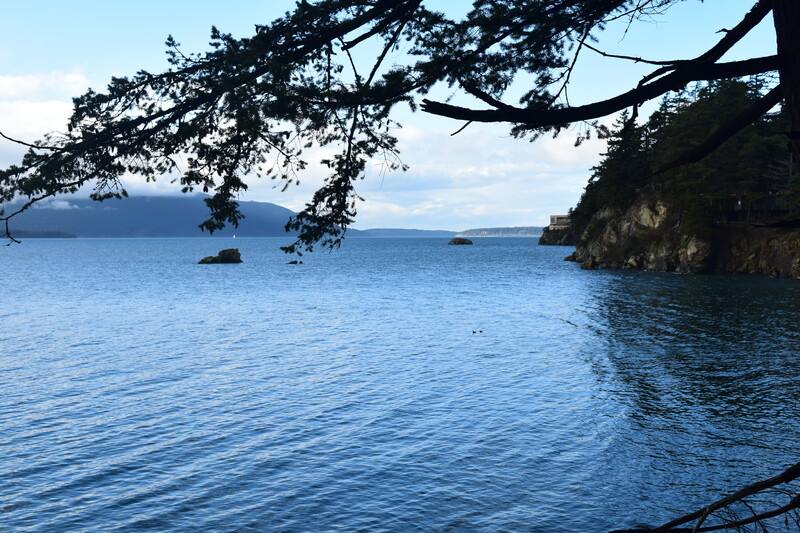 We got off the freeway to take Chuckanut Drive up to Larrabee, enjoying the slower, curvier pace of that road. 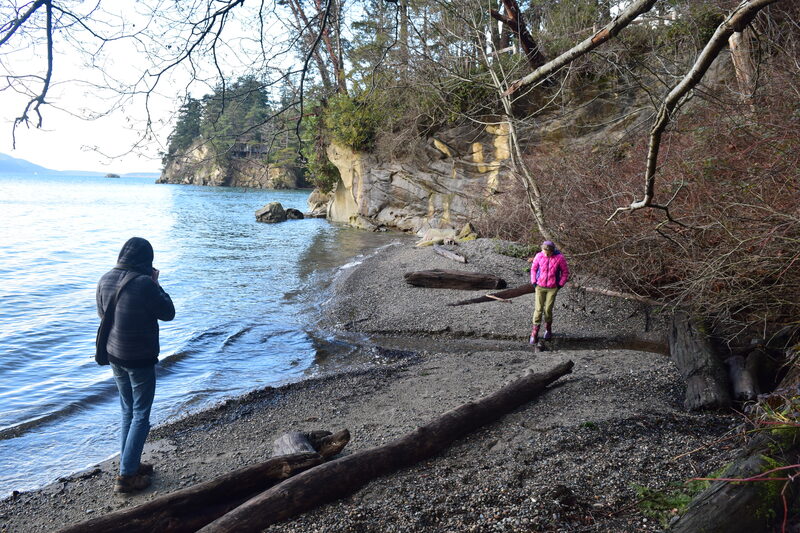 Once we got to Larrabee, we ate our lunches and decided to walk down to the beach. Some of the facilities are closed at the park for the winter, but the restrooms near the band shelter and playground are open. It’s a quick walk down to the beach; to the left of the band shelter is a well-marked trail that goes under the railroad tracks. From there you have a choice. To the right the trail descends to a small cove, which had a sliver of beach to explore at high tide today. A stream empties into the cove, which delighted Annika. If you continue on that trail on the bridge over the stream and up again, you’ll come to a nice viewpoint into the next cove where the boat launch is. We saw western grebes, surf scoters, and either common or Barrow’s goldeneyes out on the water. We also heard and saw a kingfisher chattering away, and the kids spotted a bald eagle. I heard one squawk of a raven, and a song sparrow rounded out our bird sightings for that location. If you turn left at the fork, you will walk out to the western edge of the park, and you’ll have access to rocks that are at the water. 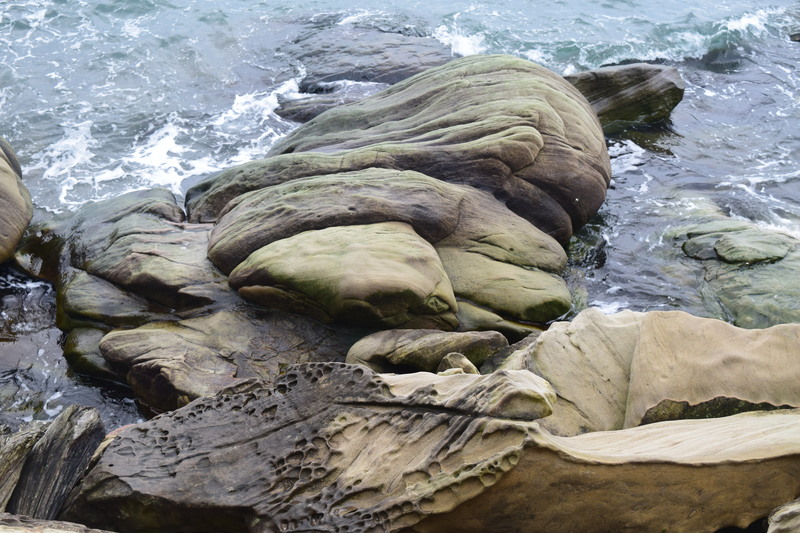 We thought the sandstone formations were cool; the Chuckanut area is one of the few places in our state where we have sandstone rocks. 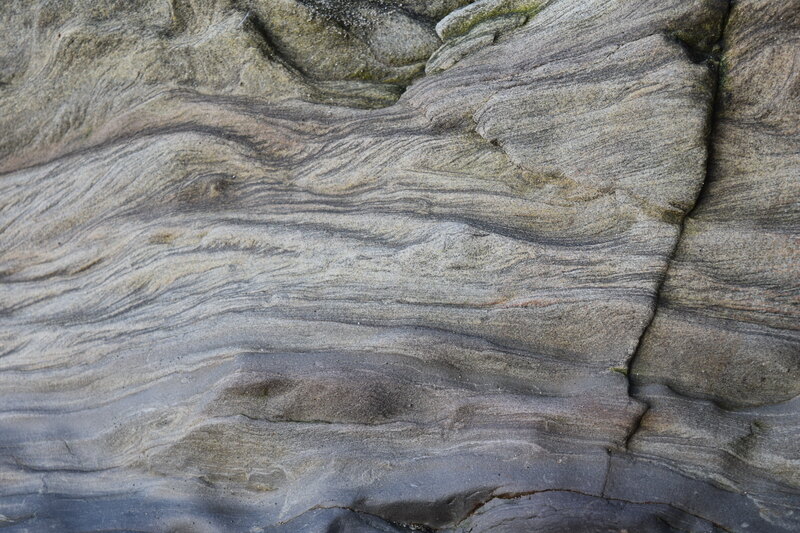 [You can learn more about the geology of the area on the excellent website, Northwest Geology Field Trips.] We could see rain showers coming across the water, and we got the first misty drops of the leading edges, so we hurried back up to the car. We hiked about 1.5 miles. 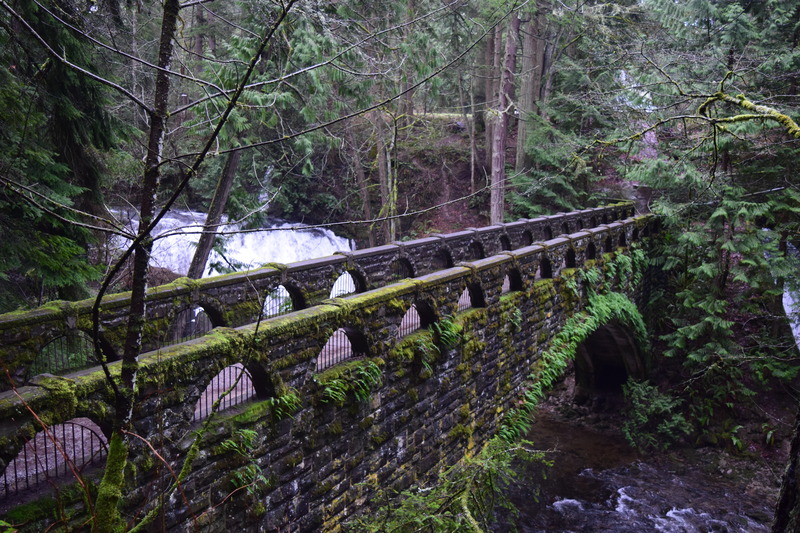 We drove from there to Whatcom Falls Park. It was raining more seriously by that point, so we put our rain gear on before descending down to the waterfall. It’s only a short walk on a paved trail down to a beautiful stone bridge that spans the river. We took lots of photos, then continued on the Main Trail for about half a mile, where we took a spur down to the Lower Gorge Trail. We all thought that the lower trail was more interesting, since it’s narrower and follows the course of the river. A couple of spots along here smelled suspiciously fishy; we chalked it up to the nearby fish hatchery. Gabe found plenty of things to photograph, while Annika jumped and stomped in every puddle she could. She put her rain gear to the ultimate test; unfortunately, her pants are wearing out and have lost all their waterproofness. She was soaked through when we got back to the car, though her Boggs boots were fine. I’ll try re-waterproofing them this weekend to see if that helps. We ended our hike by checking out the fish hatchery. We put in 1.6 miles here, for a grand total of just over 3 miles today. Pretty good for 2 parks after lunch, on a short winter day. 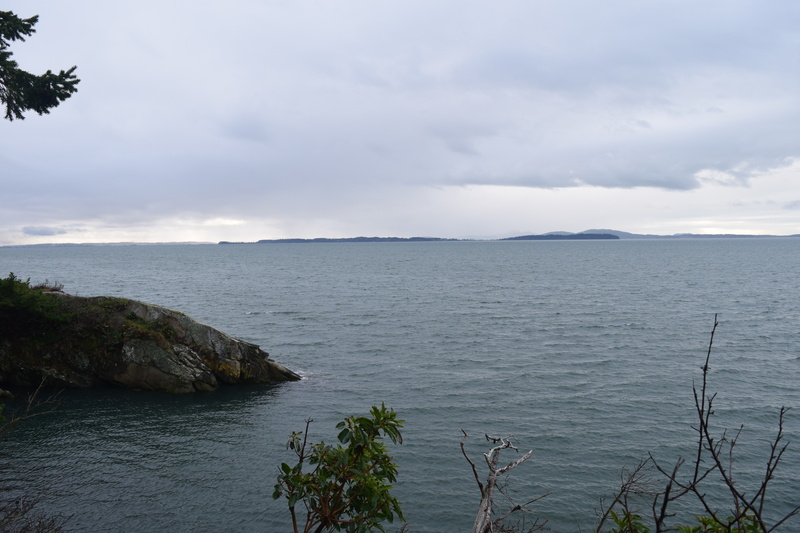 Larrabee State Park is accessed off of Chuckanut Drive, either from the north or the south. Go to the State Park website for directions. You’ll need a Discover Pass to park; you can buy them at kiosks in the park if you don’t have one. 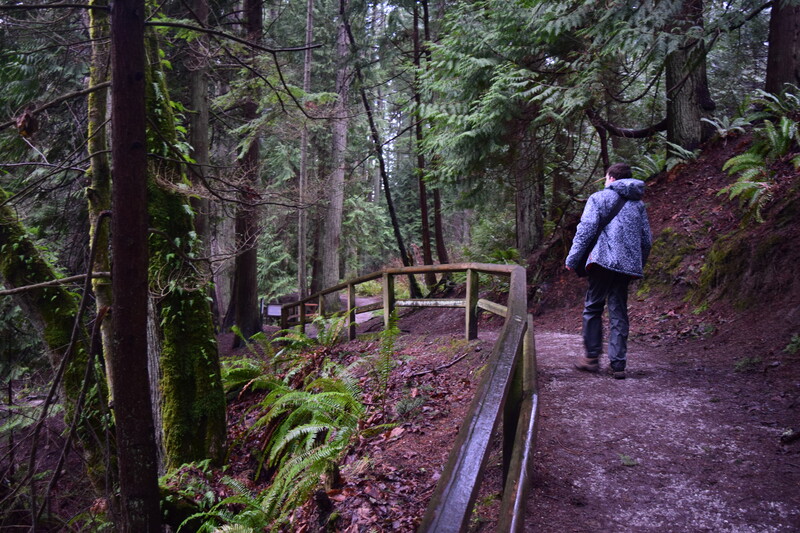 There are over 13 miles of hiking trails in the park. We’ve only been on the trails down to the beach so far. 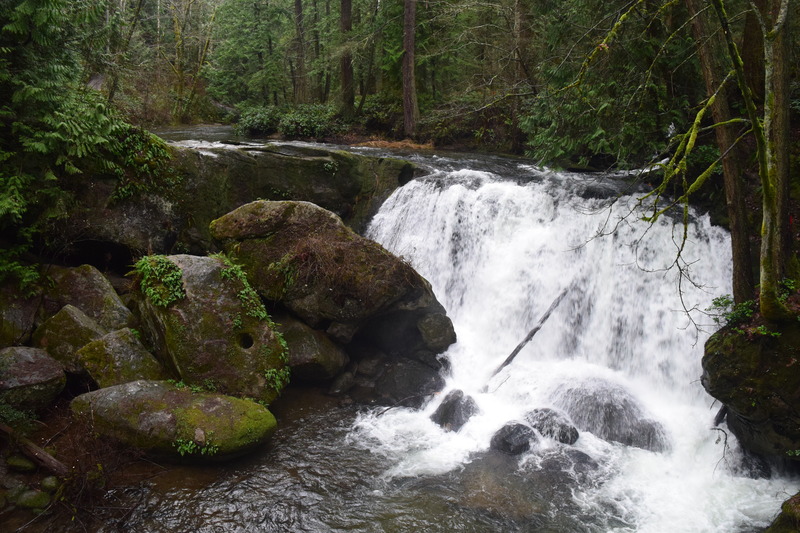 Whatcom Falls Park is located farther north in Bellingham. From I-5 heading northward, take Exit 253 for Lakeway Drive. You will need to turn right as you come off the freeway, then turn left on Lakeway Drive. Continue for approximately 2 miles, then turn left on Silver Beach Rd. into the park. It is well signed. There are restrooms at the parking area, and a playground. No parking passes are needed. 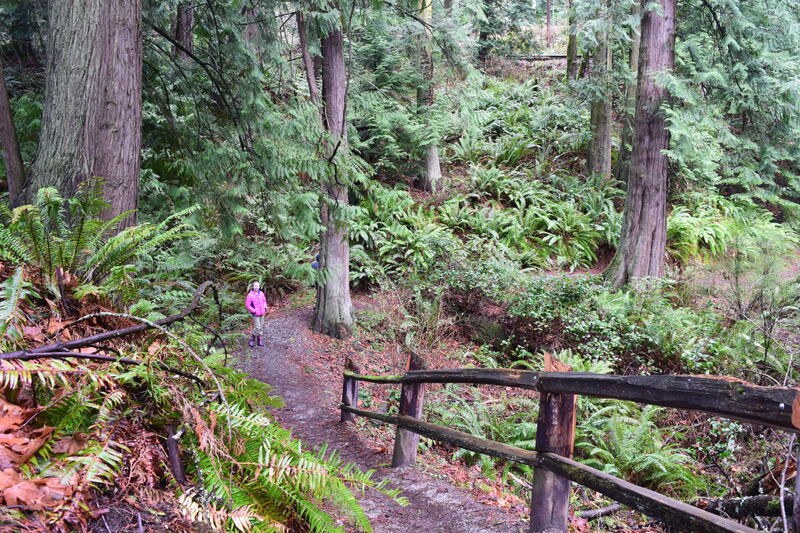 There are about 3 miles of trails in the park. You can print out a trail map with distances to guide you.